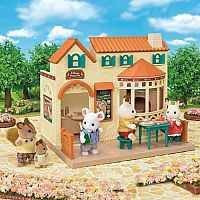 The Calico Critters Village Pizzeria is ready to make delicious pizzas using its large pizza oven for the residents of Cloverleaf Corners. Change the direction of the building to change the size of the room and front garden. 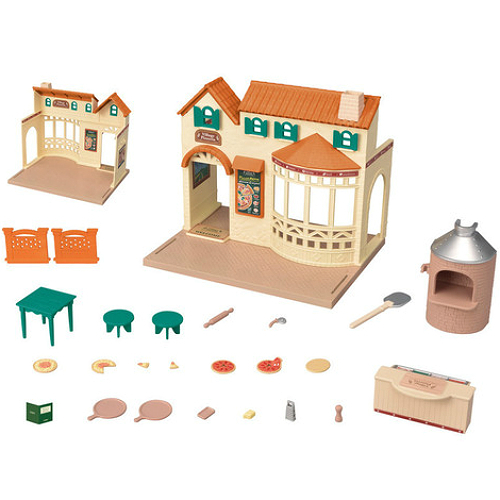 Village Pizzeria includes pizza making tools and ingredients, allowing for even more enjoyable pretend play. 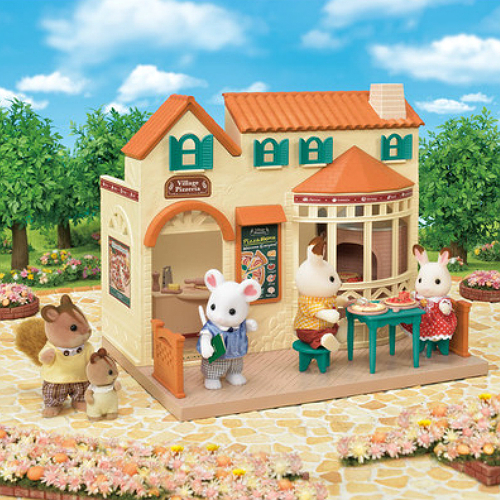 Create an open terrace space by placing the table and chairs in the front garden. 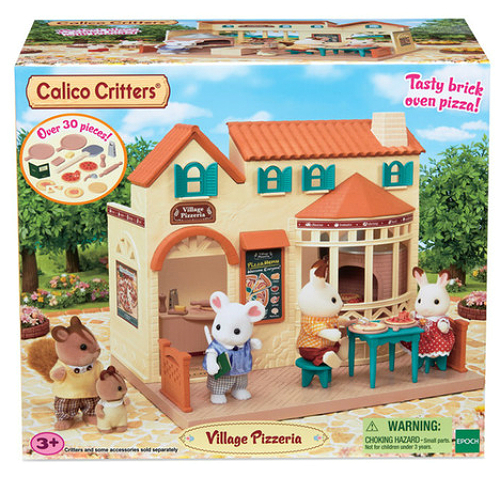 Create a shopping street townscape using the passage in front of the building by placing alongside other Calico Critters buildings. 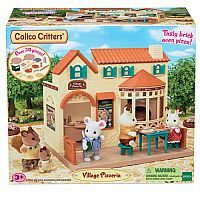 Calico Critter figures and other accessories sold separately. 31 pieces.